This is not a particularly well-written article. I’ve found everything here useful, but so irregularly that I always end up Googling and needing to put together info from multiple blog posts so I’m putting it all together here for my reference, and maybe it’ll help you if you stumbled across it. At some stage I’ll organise this into a proper article. [Update 2017-04-07] I’ll probably never actually update this article. 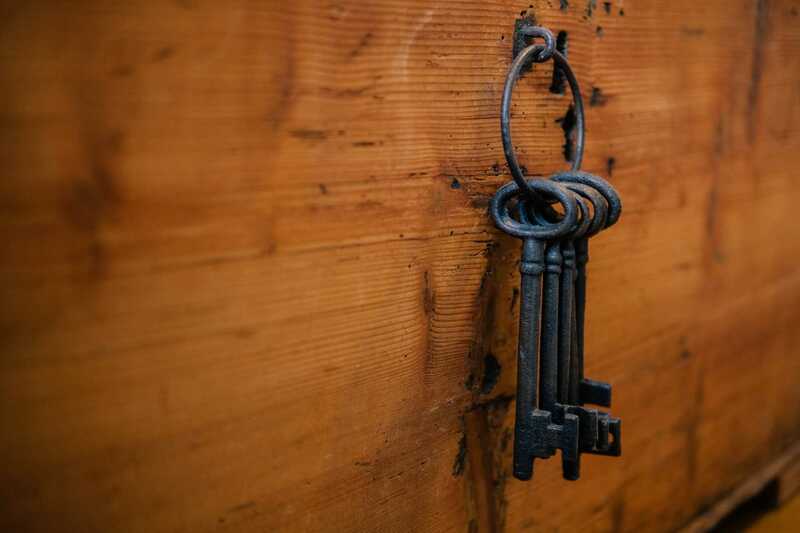 Export your existing public and private keys from Keybase, save them locally as keybase-public.key and keybase-private.key respectively. Delete both the public and private key files. Don’t forget to save after making your changes! 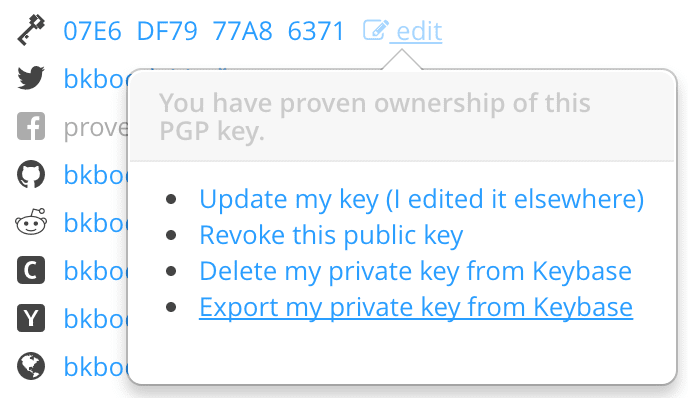 Add a ‘New GPG key’, or ‘Delete’ your existing one first if you’re updating it. Add -S [YOUR_KEY_ID] or --gpg-sign=[YOUR_KEY_ID] to your git commit commands to sign the commit using the specified key. You can replace [YOUR_KEY_ID] with any email address added as a uid in the key. These can additionally be set or unset on a per-project basis. Adding --no-gpg-sign to a git commit command will turn off signing for that commit only. Adding --show-signature to git log commands will show signatures in the git commit log.